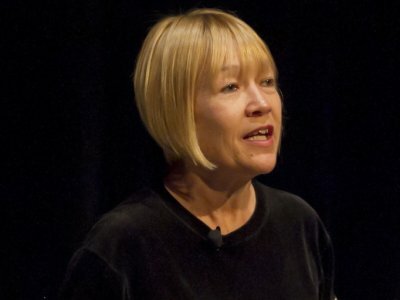 Cindy Gallop is calling on the advertising industry to provide a safety net to individuals willing to step forward and share their stories of sexual harassment. Gallop, who has been flooded with stories of sexual harassment since making her original call-out to the industry, says that women and men won’t speak up because they fear they will never work again, they will be "unemployable" or they will be subject to legal proceedings having signed non-disclosure agreements. Calling on the industry to provide victims of sexual harassment with a safety net, she said: "I want to ask every agency, agency leader and brand marketer in the UK who has principles, integrity, believes in doing the right thing, to put their name on a list of companies and people who say they welcome anyone brave enough to speak up about sexual harassment and will interview and hire them and instruct their recruiters and their HR and talent heads to actively welcome for interview and any jobs open, anyone who speaks up about sexual harassment." According to Gallop, whilst she has received a deluge of emails from women opening up to share their experiences of sexual harassment in the workplace, many women signed an NDA as part of a pay off or exit. Gallop says: "the advertising industry has been buying women’s – and men’s silence on behalf of sexually harassing white men for decades". Gallop points to the example of Zelda Perkins, a former assistant for Harvey Weinstein, who broke her NDA to speak out against the disgraced movie mogul. Perkins told the Financial Times she wanted to shine a light on these types of agreements in which "the inequality of power is so stark and relies on money rather than morality." She explained: "I want other women who have been disliked and who aren’t being allowed to own their own history or their trauma to be able to discuss what they have suffered. I want them to see that the sky won’t fall in." To date, whilst many women in the advertising industry are coming forward to share their stories with Gallop; there remains a reluctance to come forward publicly. Of course these women do not owe it to anyone to share their stories, especially if they are not emotionally or legally prepared to deal with going public. However, Gallop believes this is not what is holding women back: "What I am hearing time and time again in the emails I'm getting, is: "I WANT to speak up. I've had enough. I hate that I am prevented from doing so by fear/potential unemployability/the NDA I signed." I'm not hearing from the women who are feeling pressured to share publicly. I'm hearing from women and men who are contacting me because they really want to speak up but feel they can't. Gallop made a specific appeal to men to share their stories. saying: "I am asking the men of the advertising industry, and especially those men who enabled, stood by, laughed, joined in, stayed silent, and who now regret it, to speak up as witnesses of sexual harassment and to name names. A number of men have contacted me saying, I know I could and should have done more then, and I want to do more now. One man said of what he bore witness to in the past, "I have a daughter who is studying advertising and who is excited by the prospect of working in the industry. And the idea of her being subjected to this kind of behaviour by someone in power turns my stomach." Gallop added that she was "disgusted and horrified by the really appalling stories of how much HR departments and personnel have failed women being sexually harassed." She called on every agency and holding company to "seriously clean up its HR act". She added: "I am asking for names of HR people who did not do what they should have done - protect women, and men, against sexual harassment." "An endemic culture of sexual harassment"
Commenting on the volume of stories she has received, Gallop said: "There is an endemic culture of sexual harassment driven and perpetuated by the people in power – white men – who are the gatekeepers to everything: jobs, promotions, pay, awards, status, fame - which means people are too terrified to speak up publicly against them." Commenting on the volume of emails she has received, Gallop says; "I knew it was bad, but I never knew the full extent of how really bad it is until now." She added: "The recurring motif in the emails I'm getting from women is, "I left the industry." Our industry has hemorrhaged stunning amounts of female creativity, talent and skills because of this systemic culture of sexual harassment."